‘So I bought a £5 acoustic guitar from a junk-shop down Dublin quays and I started learning chords and collecting songs. There was a guy in school who had a bit of a band going. He had an electric guitar and the school gave him a room to practise in; there was a bass player and a drummer and the sound was amazing to me. I just loved it. The highlight of this book is the photos. Designed like an oversized, multicolored and completely overblown magazine, the photos leap from the page. Some of them are familiar, like the iconic Anton Corbjin black and whites, while others are private snapshots that provide a deeper look into these people than they are willing to share with their own words. 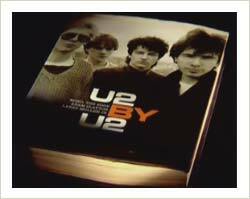 The book is divided by each U2 album. This gets repetitive considering each album recoding process was basically the same thing. The band was under prepared and struggling, then songs began to fall into their lap. Lets start reading and sharing your comments on our forum.